Naturya Organic Cocoa Nibs are brimming with macro and micro nutrients. These delicious nibs are also high in fibre. Grown and processed using traditional methods the cocoa beans are fermented to release their uniquely rich cocoa flavour. They are then sun-dried and broken up into this crumbly Peruvian treat. Designed to be incorporated into the recipes that you already know and love these cocoa nibs will invigorate and revitalise your daily diet, and give you the healthy boost that only nature can provide.Iron contributes to the reduction of tiredness and fatigue. Enjoy as much as you need. Gluten and yeast. No added ingredients. Suitable for vegetarian, vegan and Halal diets. Keep out of reach of children. Store in a cool, dry place. This product is packaged in a factory where nuts are also handled. 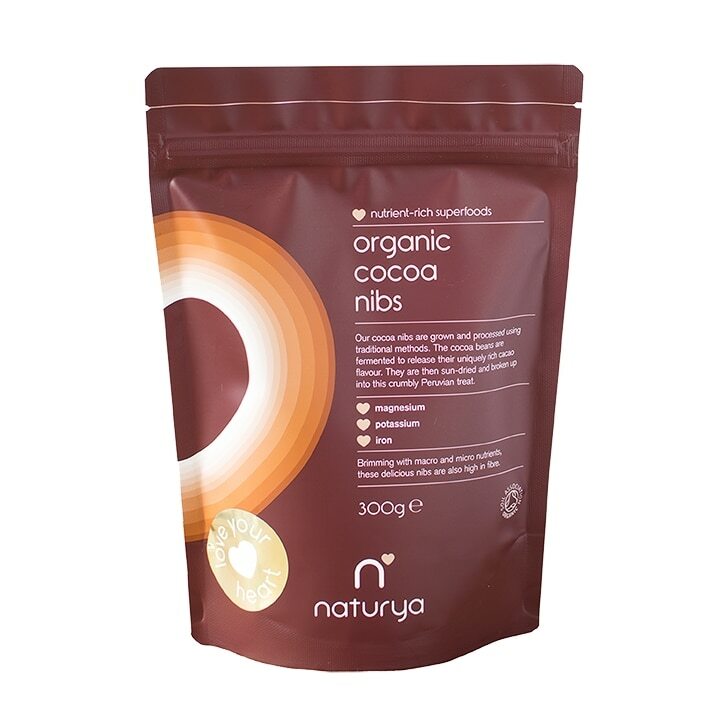 Naturya Organic Cocoa Nibs is rated 4.5 out of 5 by 40. Rated 5 out of 5 by Glennith24 from Chrunchy Nibs! I've tried a few Cocoa nibs and these are the nicest. Very crunchy and not too bitter a taste. They are not the cheapest but I've given 5 stars as I bought them on the buy one get another half price deal which made them more reasonable. Rated 4 out of 5 by LynW from Great chocolaty taste Expensive - but a little goes a long way. Good for sprinkling on cakes, porridge, muesli and desserts for a chocolate hit.